Nigeria’s former Petroleum Minister, Diezani Alison-Madueke is one of the most hated women in the country, and for good reason. Diezani has been accused of stealing billions of dollars in oil funds in a country where most citizens live on less than one dollar a day. She however insists that she’s innocent of all charges against her and that they’re attempts to tarnish her image, nothing more. “If there is one issue I must pursue in this world it is the biggest lie of this money. How can $20billion disappear just like that? Where did it disappear to? Is it possible that such an amount would not be traceable?” Diezani said during an interview with Dele Momodu’s The Boss Newspaper. “This is more painful coming from someone I considered a good friend who should appreciate the gravity of such allegation. I challenge anyone to come forward with facts showing that I stole government or public money. I’ve never stolen Nigeria’s money…” she added. Ms Alison-Madueke was speaking of an allegation made by former Central Bank of Nigeria (CBN) Governor, Sanusi Lamido Sanusi that $20 billion in oil funds had disappeared from the coffers of the Nigerian National Petroleum Corporation(NNPC) under her watch. 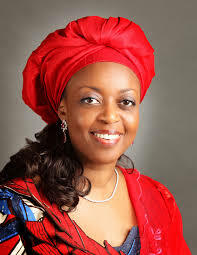 The former Petroleum Minister has not officially been found guilty of anything but this is because every previous attempt to charge her was mysteriously quashed, she was invincible. In 2014, the House of Representatives launched a probe into allegations that she spent N10 billion in government funds on maintaining a private jet solely for use by herself and her family. The attempt to probe Diezani was stopped by an Abuja Federal High Court in that same year. The question is, why stop a probe? It’s just an investigation and no innocent person is afraid of an investigation. The allegation of the missing $20 billion resulted in Sanusi being suspended from his position as CBN governor. He was further harassed by the Department of State Service (DSS) and his passport seized. Why was a person who spoke out on the looting of the country’s resources treated like a traitor instead of a hero? Why didn’t Madam Diezani try to establish her innocence while in office instead of leveraging on her closeness to then President Goodluck Jonathan and engaging in power-play? Why did Diezani book herself on the same flight to London with President Muhammadu Buhari and then refuse to return to the country after he was sworn in if she was so “innocent”? Was Diezani detained by the United Kingdom’s National Criminal Intelligence Service (NCIS) on October 2, 2015 because of her “innocence”? It’s a shame that the former minister is sick with cancer, but this does not change the fact that she contributed immensely in bringing Nigeria's economy to its knees. Madam Diezani might be innocent in her own eyes, but she is guilty in many others and the majority always carries the vote. Only time will tell how much financial damage was done to Nigeria by the former minister and her associates, so I wish her much more time on earth, time to answer for her crimes, and time to slowly but surely pay for them.